Most people burn out at some point in their lives. For business owners, burnout is an ever-present danger, if they aren’t careful. The first - and often most difficult - step to escaping and overcoming burnout is identifying it. What are the costs associated with burning out? What are some strategies to avoid burnout? For more detail; listen to the interview in the audio below (and/or scroll down for quotes from it). Burnout… you start to see, forecast and attract negative things… You feel you can’t get out of bed. 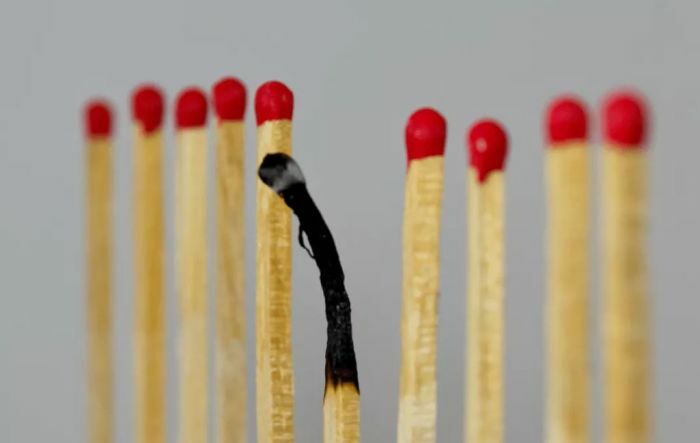 When you start letting standards slip; that’s an indication [of burnout]. "When we made them aware of it they very arrogantly said they are the bigger guy, and they really couldn’t be bothered by us…"
Manuel Franco bought the ticket in March and knew he won but waited almost a month before claiming his colossal prize. YouTube is 14 and, like most 14-year-olds, it's going through some growing pains. Ray White interviews McLaughlin, about three months after she shot to fame for taking on the alleged copycat, Woolworths. Vodacom and MTN are fleecing consumers – particularly poor ones. Ray White interviews Duncan McLeod, Editor at TechCentral. Can you spare some material, sewing equipment, etc.? Do something great today! Vaal Leadership Academy uncovers hidden talents of poor school kids. Can you help? Ray White interviews its founder, Moroa Kobeli. Foreigners rule informal trading (outcompeting even Shoprite). Consumers win! About 20% of every rand spent in South Africa goes to informal stores, mostly foreign-run. GG Alcock on his book “KasiNomics". Weather forecasters say Cyclone Kenneth will bring heavy rainfall, strong winds and waves of several metres to the southern African nation, which is still reeling from the effects of Cyclone Idai. One of the DA's elections messages has been a warning about an ANC and EFF coalition that could take over control of the Western Cape. This is the third failed challenge of the order that set aside his pension agreement and ordered that he pay back the R11 million already doled out to him.